Pip Wilson bhp: A whole BOOK FULL of The Blob Tree and lots of other similar trees. 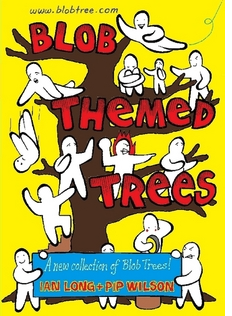 A whole BOOK FULL of The Blob Tree and lots of other similar trees. The Blob Tree is used to help discussions throughout the world. It is used in over 100 countries to promote effective discussions on emotional intelligence. It is used with children as young as 4 and with all abilities of adults. There are no words, hence it is used across the world! This edition includes a set of new images that are based on themes. Look in the preview for the full list of what is on offer.